For the past 25 years, our crack team of sign makers have helped businesses in Perth – and all over Australia – look their absolute best. How? By custom crafting signs that increase your visibility, and make you look like the kind of business people want to shop in, buy from, eat at or engage with. Most importantly, we don’t mess around. Our complete sign making service includes design, manufacture and professional installation. Our clients include tradies, SME’s, mining and resource companies, retailers and builders who need quality signage for many different reasons. Many of our builders need safety signs for job sites. 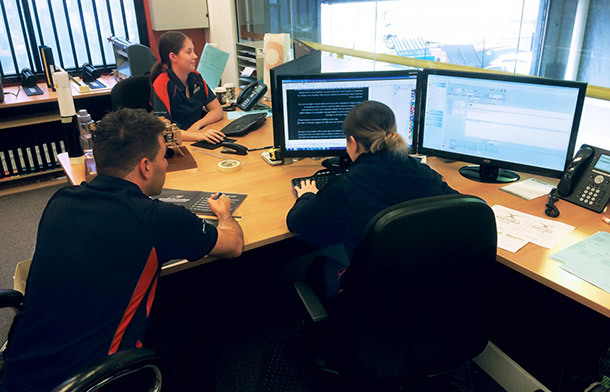 Tradies want vehicle wraps that turn their car or fleet into a traveling billboard. Retailers want signage that matches the look and feel of their store. Land developers need eye-catching billboards. We develop all kinds of signage for different applications, like pylons and lightboxes, wayfarer signage, digital signs, fascias, illuminated signs and so much more. Unlike some sign companies, our in-house design team can work with your existing branding to develop a style of signage that gets your business noticed by the people who matter to you. When it comes to manufacturing, we use only the latest equipment and quality materials. As a result, the quality assurance on our signs is second to none. If you need your sign installed professionally, our qualified sign installers are ready to roll. 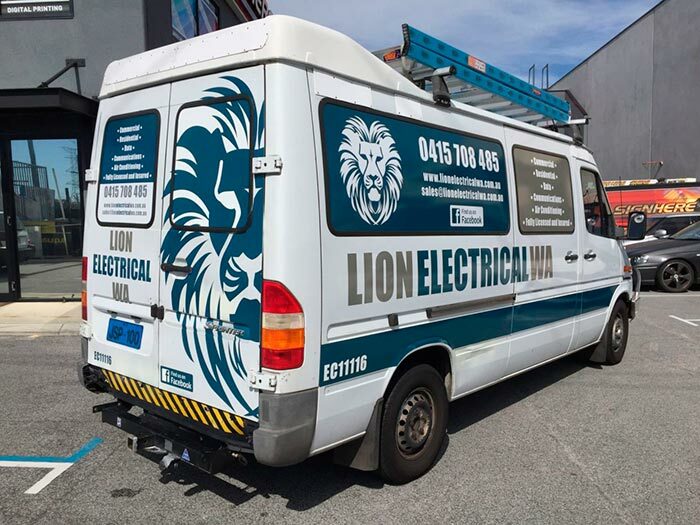 We install your signage with care and expertise, and our installers are accredited to work in centres in Perth and all over Western Australia. 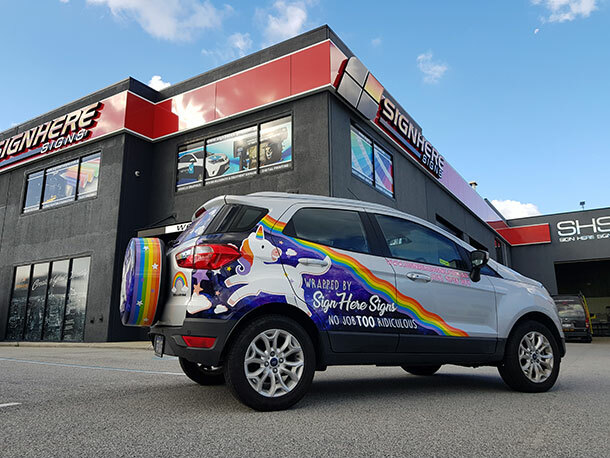 Even though our GM drives a car wrapped like a unicorn, we are serious about some things – like making signs that are built to last a really long time. That means we only source quality materials designed to withstand WA’s unique climate conditions. Yep, that means our signs look good, even after lots of sun. We’re also big geeks about new kinds of sign technology, like touch screens and other digital signs that make you feel like you’re in a cool sci-fi flick. So if you want something different, that really stands out and gets your business noticed, just ask. Get in touch for an obligation-free quote on your sign. We can design, manufacture and install, or just take care of the manufacturing side of things. Whatever you need, we have a sign solution that will make your business look outstanding.